I have summarized the important elements of E-garden’s overall design. It is the design of how users make use of the product. – UI design is a process of setting a concept and composing a scenario. – A concept encompasses the design, layout, etc. that the user will actually encounter. – It includes color, visual alignment, shape, and size. -The purpose of the design is to ease control data input or manipulation by the screen visual, sound/music and allow easy access to content. – From the user’s aspect, it is designing the fastest way to reach the desired menu with the least amount of clicks and dragging. – It consists of designing the initial user experience. – It consists of predicting and collectively designing all of the user’s behavioral boundaries (reactions and behaviors that they feel directly or indirectly using any product, system, service, and etc). – It is important to emphasize a user-centered design process. Our goal is to continually improve user satisfaction and ease usability. 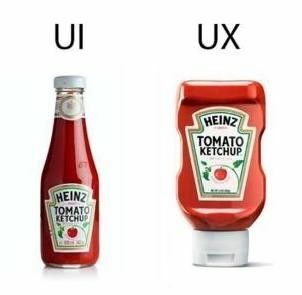 – UI is ‘design’. UX is ‘experience’. [UI] Does the design fit the brand? [UX] Does clicking on CI takes users back to the main page? [UI] Is the landing page simple and intuitive? [UX] Where is the most convenient place for a rectangular button? – When configuring the interface, the range of the user’s gender, behavior, age, etc. should be objectively considered. – It is important to elicit the ultimate “purpose” of the user. Finally, the most important factor is to unify the color while not going over more than three colors, so that the meaning is conveyed to the users clearly.